A cracked screen is one of the easiest laptop issues to fix in Kendall, Florida. 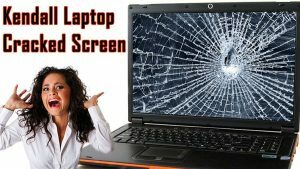 There are several Kendall laptop cracked screen services that can help you repair a screen display problem. For most laptops, a display replacement requires about $80 and an hour of careful assembly. If you’re a DIYer, changing a damaged laptop display yourself is an excellent way to save money (not recommended), because many computer repair stores will quote about $150 to $300 for the job. Another way to save money and still get an expert to do the job is by providing the display screen for replacement. Below is a guide to help you replace a cracked laptop screen in Kendall. Before doing anything, give your laptop a complete look over to make sure the display actually needs replacing. If the graphics card on the motherboard is dead, for example, you might be wasting your time changing a perfectly good display. Only change a display with a visible crack on it. Also, if the system was dropped or cracked by a forceful impact, you’ll need to double check for other damage. A Kendall laptop cracked screen repair expert can carry out an assessment and let you know if other parts need replacing. If you are unsure about the crack, you can check whether the graphics card is working. Simply connect the laptop to a desktop computer screen or television set (as most have a normal blue VGA computer screen and an HDMI output signal). If the image is okay on an external screen, then your graphics card is probably in good condition, and the cracked screen is the problem. If you don’t get any image, remember that some laptops need you to press specific function keys to activate an external screen output signal. If after doing this nothing shows up on the display, then your graphics card or motherboard is probably busted. If the notebook output signal to another screen is successful, use the computer for some time to make sure the keypad and other notebook parts are working normally. If you want to save money and decide to buy your notebook’s display screen yourself, there are certain tips to follow. 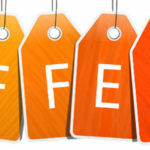 You’ll probably be looking for a good deal, however, remember that “good deals” are the main receive for bad buys. Buy your screen from a reputable seller. Even though most display screens are versatile and can suit most laptops of the same size, it’s a good idea to check the model number on your cracked screen and try to buy the same model. This might not be possible if you are buying online. However, if you have a face-to-face meet up with the seller, insist that the screen is tested before you buy. Some screens might look okay but later develop a pixel displacement later, so the best choice is to buy a new display screen and avoid any unpleasantness later.